In most place that we stay for more than a day or two, we find a particular food item, or food establishment, or both, that we consider to be exeptional. In Melrose, our favourite food place is Russell's of Melrose on Market Square, but I'm going to talk about my favorite food item, which comes from Dalgetty's Bakers and Tearoom in High Street. 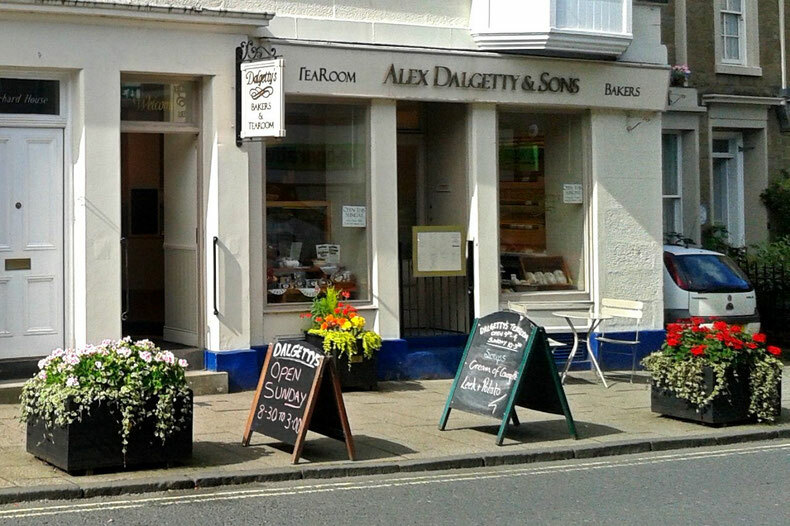 Dalgetty's make a wide range of baked goodies, including some of the best scones that we have found in Scotland, and Scotland sets a high standard in scones, in both quality and variety of styles. 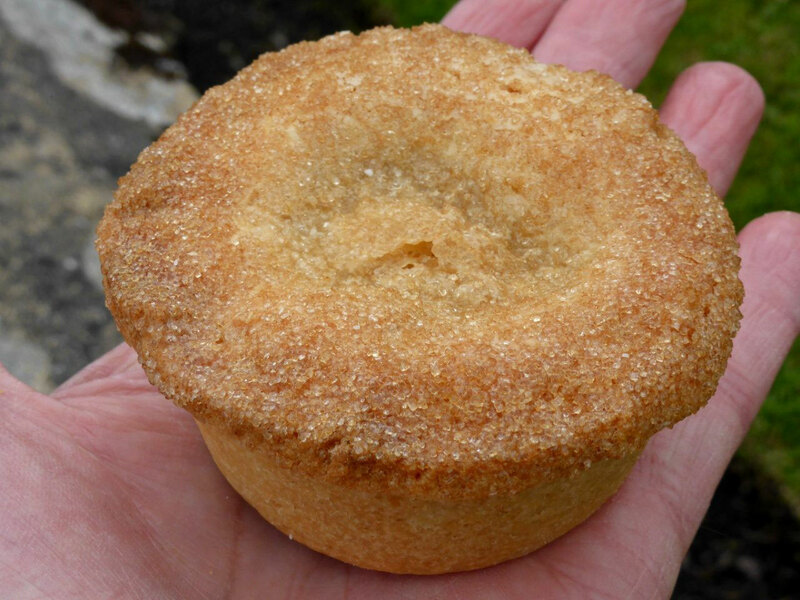 However, it is their rhubarb and ginger 'tarts' (we'd call them pies in Australia, because they have a 'lid') that are the most exceptional. Just look at that crust! It just crunches and crumbles in your mouth most wonderfully; it's the best sweet and short pastry that I have ever had! And inside is a sharply delicious mixture of stewed rhubarb and ginger, which perfectly complements the sweetness and texture of the crust. This tart was the last thing that I ate before leaving Melrose, and I ate quite a few of them during my stay there - I leave them with great regret!